You've had the joy of listening to Craig's insightful questioning of our guests for a long time now; it is our great pleasure to turn the microphones around and capture Craig Andera on the other end of the questions. 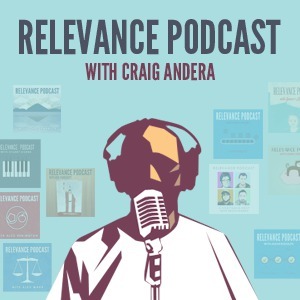 Guest host Justin Gehtland gets Craig to talk about his career path that led to working at Relevance, his changing taste in technologies, and the genesis and details of ThinkRelevance: the Podcast. We hope you enjoy getting to know Craig a little better.